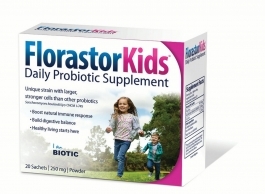 FlorastorKids Daily Probiotic Supplement. It has a unique strain with larger, stronger cells than other probiotics. This is a gluten free product. This product is vegetarian. It boost natural immune response. This product is appropriate for lactose intolerance.